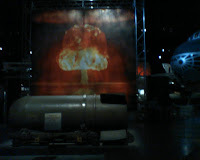 I was bored today, and since the Museum of the United States Air Force is about an hours' drive away from here in Dayton, and admission is free, I decided to go. When I arrived, I figured out that my camera's batteries had run out. 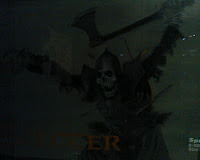 So all my pics are low quality cell phone pictures. Nevertheless, I feel that makes them easy to take and upload without any need for editing and resizing. 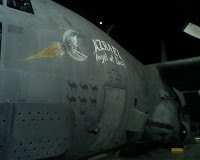 "Azrael", a C-130 gunship armed with gatling guns, and 105mm and 75mm repeating cannon. 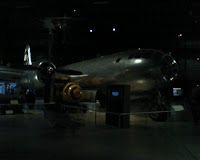 "Boxcar", the B-29 that dropped the second atomic bomb on Nagasaki. My favorite bomber, the immense B-36 Peacemaker. 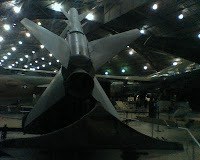 Never used in combat, this was the largest warplane ever built and flown. Uses both rear facing turboprops and jet engines. 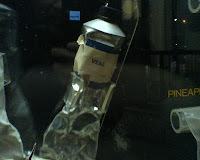 A tube of veal, for astronauts to eat. 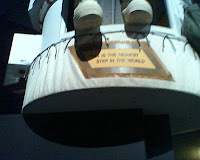 "This is the highest step in the world"
Joseph Kittinger takes one giant leap for mankind, from his high-altitude balloon gondola. 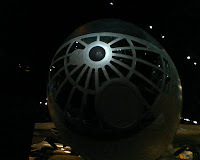 Its interesting that in order to develop technologies for space, we used the oldest mode of man-made flight. 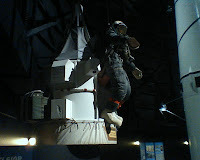 Project Gemini space capsule, holds two astronauts and very little else. 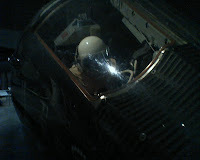 You don't get a sense of how cramped these early spacecraft were until you stand next to the cockpit. 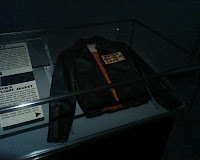 Leather pilot jacket worn by a space chimp. 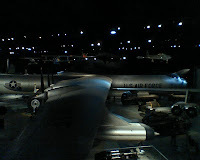 Nose of the B-36, which fills nearly half of the Cold War hanger. 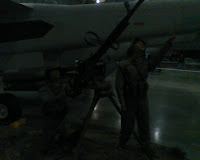 NVA heavy machine gun, standing amidst engines of war many times more powerful. "Camouflaged" seismic sensors dropped in the jungles along the Ho Chi Min Trail. 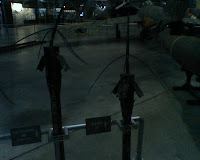 Surface to Air Missile, like the heavy machine gun sitting next to its prey, the Vietnam War era fighter-bombers and B-52. 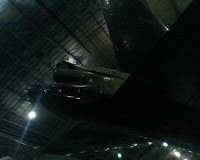 Remote controlled twin .50 caliber machine gun turret on the tail of the B-52. Some B-52s during the war actually scored kills against MiGs while raiding North Vietnam.